An eclipse of the moon caused a panic in the Athens fleet. Sir William Herschel discovered Saturn's moon Enceladus. C. H. F. Peters discovered asteroid #167 Urda. John Joseph Montgomery, generally credited with making the first controlled heavier than air flights with a human passenger, made his first glider flight at Otay, California. A. Charlois discovered asteroid #312 Pierretta. F. Kaiser discovered asteroid #760 Massinga. WEAF of New York City is generally credited with airing the first radio commercial for which Queensboro Realty paid $100 for 10 minutes of advertising. A meteorite fell on Ellemeet, Schouwen (Holland). A total mass of 1470 g was recovered. J. Hunaerts discovered asteroids #1423 Jose and #1637 Swings. E. L. Johnson discovered asteroid #2651 Karen. USSR's Alpha Pi 1 spacecraft re-entered the Earth's atmosphere after the booster that was to send it on an interplanetary mission failed to fire, and it did not depart for Venus. The Little Joe II qualification test vehicle (QTV) was launched from White Sands, New Mexico, to prove Little Joe's capability as an Apollo test vehicle, and to determine base pressures and heating. The lone failure was a destruct system malfunction. NASA launched the Nimbus 1 weather satellite, which returned 27,000 cloud cover images. Nimbus 1, launched 28 August 1964, was the first in a series of second generation meteorological research and development satellites. It was designed to serve as a stabilized, Earth-oriented platform for testing advanced meteorological sensor systems, and for collecting meteorological data., The polar orbiting spacecraft consisted of three major elements: (1) a sensory ring, (2) solar paddles, and (3) the control system housing. 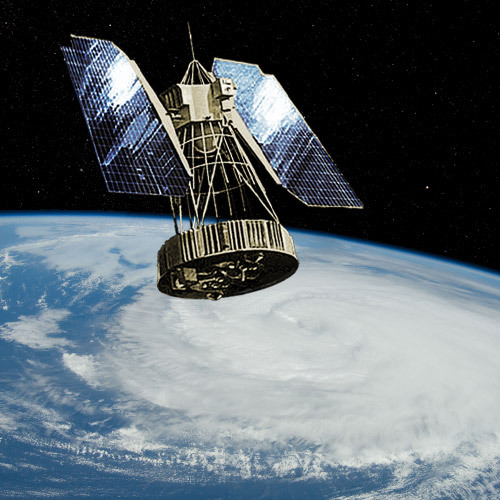 The solar paddles and the control system housing were connected to the sensory ring by a truss structure, giving the satellite the appearance of an ocean buoy. Nimbus 1 was nearly 3.7 m tall, 1.5 m in diameter at the base, and about 3 m across with solar paddles extended. The sensory ring, which formed the satellite base, housed the electronics equipment and battery modules. The lower surface of the torus-shaped sensory ring provided mounting space for sensors and telemetry antennas. An H-frame structure mounted within the center of the torus provided support for the larger experiments and tape recorders. Mounted on the control system housing, which was located on top of the spacecraft, were sun sensors, horizon scanners, gas nozzles for attitude control, and a command antenna. A stabilization and control system allowed the spacecraft orientation to be controlled within plus or minus 1 degree for all three axes (pitch, roll, and yaw). The spacecraft carried (1) an advanced vidicon camera system (AVCS) for recording and storing remote cloudcover pictures, (2) an automatic picture transmission (APT) camera for providing real-time cloudcover pictures, and (3) a high-resolution infrared radiometer (HRIR) to complement the daytime TV coverage and to measure nighttime radiative temperatures of cloud tops and surface terrain. A short burn of the booster's second stage resulted in an unplanned eccentric orbit. Otherwise, the spacecraft and its experiments operated successfully until 22 September 1964 when the solar paddles became locked in position, resulting in inadequate electrical power to continue operations. USSR launched the Cosmos 44 (Meteor number 1) meteorological satellite. USSR launched Cosmos 238, a Soyuz precursor with orbital data similar to manned flight, to study outer space, the atmosphere's upper layers, and the Earth. Scientific data were relayed by multichannel telemetry systems equipped with space-borne memory. T. Smirnova discovered asteroid #2616 Lesya. T. Smirnova discovered asteroid #2171 Kiev. USSR Soyuz 15 (call sign Dunay/Danube) returned to Earth with cosmonauts Gennady Sarafanov and Lev Demin aboard after their unsuccessful trip to dock with the Salyut 3 space station. A. Mrkos discovered asteroid #3645; C. T. Kowal discovered asteroids #3163 and #4596; H. Debehogne discovered asteroids #2707 Ueferji and #6850; Z. Vavrova discovered asteroids #2524 Budovicium, #3096, #5860 and #7325. A. Mrkos discovered asteroids #3630 and #3905 Doppler, S. Swanson discovered asteroid #4995. H. Debehogne discovered asteroids #4535, #6292 and #7168. E. W. Elst discovered asteroids #6437 and #7010 Locke. USSR launched the Cosmos 2037 geodetic satellite. Z. Vavrova discovered asteroid #6067. Japan launched the Yuri 3A (BS-3A, Broadcasting Satellite-3A) communications satellite from Tanegashima, which was positioned in geosynchronous orbit at 110 deg E 1990-1998. 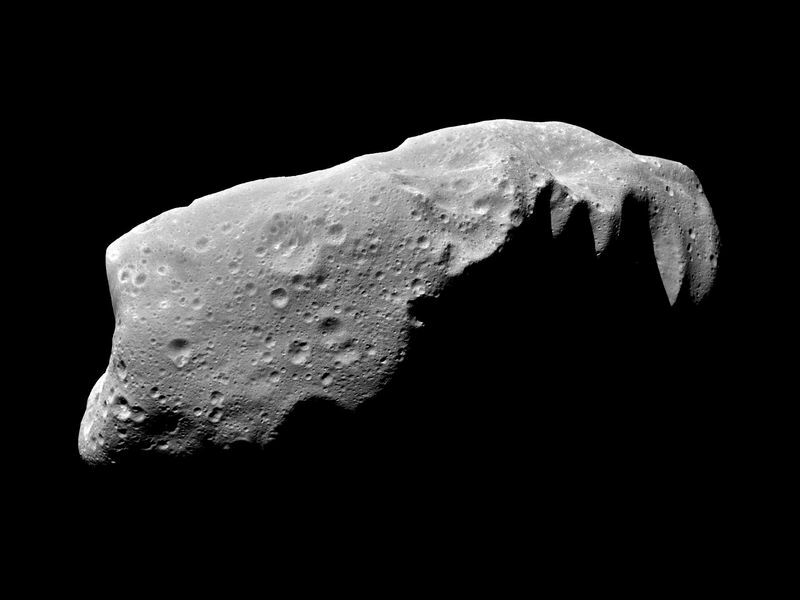 NASA's Galileo spacecraft passed within 2400 km of asteroid Ida. Japan launched the Kiku 6 engineering test satellite (ETS 6) from Tanegashima, a partial failure since the LAPS apogee kick motor failed to ignite and ETS failed to reach geostationary orbit, partly successful since it also tested ion engines for NSSK. Panamsat 5 was launched from Baikonur and positioned in geosynchronous orbit at 58 deg W 1997-1999, using an HS-601 XIPS ion engine for station keeping. Soyuz TM-29 landed in Kazakhstan Afanasyev, Avdeyev and Haignere aboard. Afanasyev had set a new cumulative time in space record, but for the first time since September 1989 there were no humans in space. An Ariane 5G launched from Kourou carried the Eutelsat Atlantic Bird 1 communications satellite and Europe's MSG 1 (Meteosat Second Generation 1) weather satellite to space where they were positioned in geostationary service orbits. Assuming orbits changing at the current rates, Earth and Mars were closer - about 34.64 million miles (55.76 million km or 0.37273 AU) - than they were or will be in a span of nearly 59,904 years, from 12 September 57617 BCE through 28 August 2287.